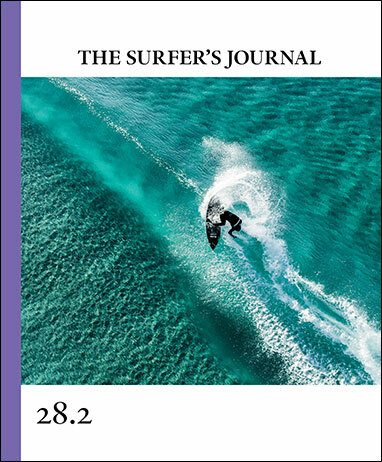 On the cover: Dion Agius removes the right amount of serenity from a lonely, aquamarine bank on the east coast of Tasmania. Story points inside hack through the thickets of a rhythmic West African pointbreak, the machinations of procuring the perfect two-board quiver, and David Darling’s 1960s lens-work in Hawaii. Hayden Cox’s self-renovated perch in Sydney, and Chris Klopf’s traditional-minded subjects add a touch of the domestic. More below.